Mary Jane Luethje, 87, of Gladbrook, IA, passed away Wednesday, March 13, 2019, at Westbrook Acres in Gladbrook. Funeral Services will be 11:00 a.m., Monday, March 18, 2019, at the Peace United Church of Christ in Gladbrook. Visitation will be 9:30 a.m., until the time of the services, at the church. Interment will be in Oakland Cemetery in Beaman, IA. Arrangements have been entrusted to the Gladbrook Chapel of Anderson Funeral Homes. Online condolences may be sent to www.andersonfhs.com. Mary Jane was born October 21, 1931, to Gus and Wilma (Bunch) Biggs, in Marshall, AR, and moved to Marshalltown, IA, in 1942. Mary attended grade school at Anson and graduated from high school with the Class of 1950. 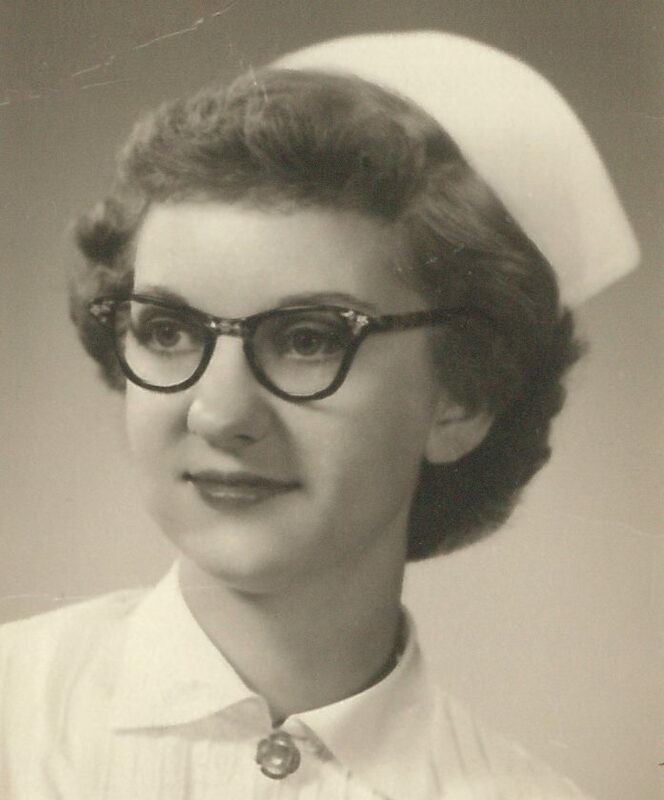 She then attended the Evangelical Hospital School of Nursing and graduated with the Class of 1954. Mary was united in marriage to Leonard C. Luethje on June 13, 1959, at the EUB Church. She worked at the Evangelical Hospital and then the Grundy Center Hospital until she retired in 1993. Due to Leonard’s cancer, they moved to Gladbrook in August of 1996, where he passed away Sept. 1, 1996. They had lived in Beaman for 22 years, where Mary Jane participated in The Women’s Club and Legion Auxiliary. Previous to this, she had changed her membership to the Peace United Church of Christ in Gladbrook where she became active in the church, joining the Afternoon Women’s Fellowship and over the years had become treasurer, secretary and president. Mary Jane sang in the church choir and was on the church board as an Elder. She was a chairman of the Care Review Committee and the Westbrook Acres Nursing Home in Gladbrook, belonged to the Alpha Study Club and Pepper Club. Mary was also a member of the Evangelical Hospital Alumni Association. Mary Jane is survived by her daughter, Lisa (Richard) Standal, of Cedar Rapids, IA; grandchildren Jeff Standal, of Aiea, HI, and Danielle Standal, of Cedar Rapids; brothers John (Chris) Bonnette, of Dubuque, IA, Jerry Bonnette, of Harlingen, TX, Don (Jayne) Bonnette, of Stuttgart, AR; brother-in-law Dennis (Barb) Luethje, of Gladbrook; also many nieces and nephews. Mary was preceded in death by her husband, daughter Susan in 2003, and a sister, JoAnn Tenney.